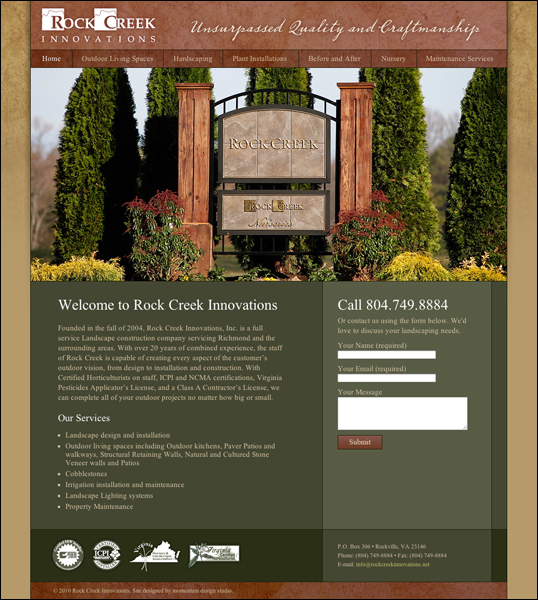 Project Details: Rock Creek Innovations is a full service Landscape construction company servicing Richmond and the surrounding areas. With over 20 years of experience their work really speaks volumes to the quality and craftsmanship they put into each job. This was our main focus when redesigning the Rock Creek website. 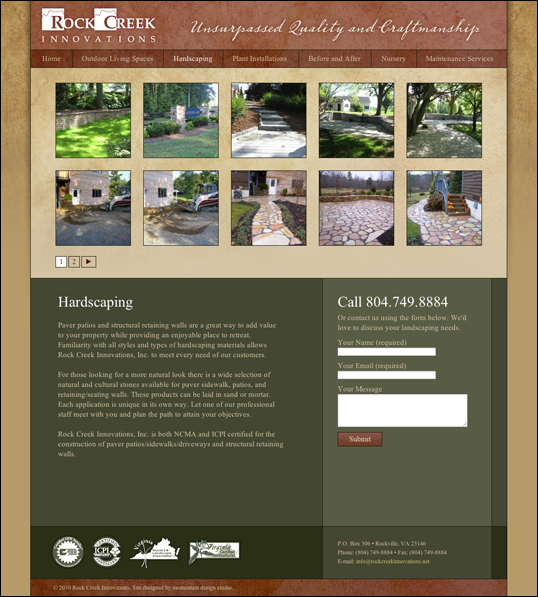 We wanted the user to immediately be pulled into the beauty of their landscape work. This strategy flowed throughout the site with a photo gallery being featured at the top of each service page. We feel the end result provides a user friendly experience that lets the photos do the talking.